Today I wanted to talk about something a little different; Potatoes. On the weekend I met up with my lovely friend Kirstie (@kirstie290) and she was telling me how she has been really good lately with cutting out those nasty processed carbs (white carbs). She was saying how she hadn’t had any bread or potatoes in weeks. 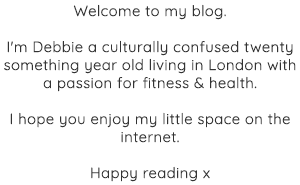 This little comment got me thinking (thanks Kirstie!). Potatoes have a really bad reputation even though they are NOT a white “bad” carb. Yes they are a white vegetable but so is cauliflower and it doesn’t get any bad rep for making you fat. So let me try to clear up some of those rumors that give Potatoes a bad name in the diet industry. First of carbohydrates are not all bad. Carbs are actually the primary fuel our bodies burn to let us be active. Plus it’s the ONLY fuel source used by our brains. So if you skip all your carbs your brain won’t have anything to work with. Having said that, there are some carbs that will add inches to your waist faster than others. These are often known as “bad” carbs, white carbs or just simple carbs. The reason these carbs are not as healthy for you, is because they have been processed. All the good stuff has been taken out and loads of additives have been added to make them last longer. Also their simple structure (hence the name simple carbs) makes it easier for your body to break them down. This might seem like an advantage at first, but it really isn’t. This means your blood sugar levels spike and fall again giving you those nasty sugar cravings. AND as if that wasn’t enough, simple carbs will not keep you as satisfied meaning you’ll eat more of them to try to feel satisfied. An example of these carbs are white bread, white rice, white pasta, baked good etc. Now let’s compare some of those with our lovely Potatoes. I know it’s a lot of number but I will try to explain them. Firstly all these amounts are based on 100g of the food. This does not mean that 100g is the portion size or anything, but 100g is often the amount used to compare different foods and their nutritional value. The main numbers you want to compare above are the Carbs and the calories. All of these products are relatively low in both fat and protein which is why they are known as ‘carbs’. (Little side note, the reason the pasta and bread are higher in protein is because they are made with eggs, which are a form of protein). As you can see the potatoes are MUCH lower in calories and carbs compared to their fellow white carbohydrates. This means you could eat nearly twice the amount of potatoes compared to rice and nearly three times as much potato than pasta or bread. How amazing is that? 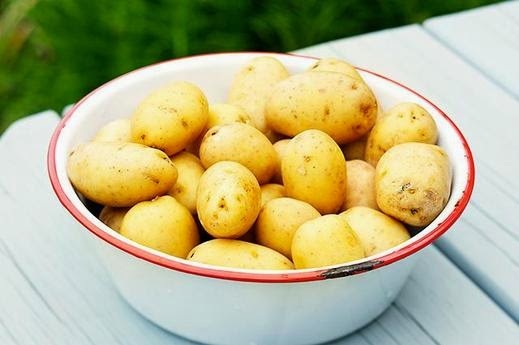 However, before you go adding potatoes to every meal of yours there is one thing you need to be aware of when it comes to potatoes. It’s all about HOW they are prepared. Because deep frying them, adding cream and mashing them or adding loads of cheese and baking them won’t make them any healthier than the above bad carbs. Try cutting them into wedges and baking them with loads of spices and a bit of olive oil. Or boil them, let them cool and make a little potato salad with some oil olive and mustard. Or make mash potatoes and add a little low fat milk or water if you think it needs some liquid. I think I have written enough about potatoes for one day. I hope this was a little eye opener for some of you and that maybe next time you won’t skip your potatoes. Do you like potatoes? And most importantly HOW do you like your potatoes? I LOVE potatoes, so I'm glad to find out that they are actually as bad as everyone makes them out to be! Although I am guilty of adding a tonne of milk, butter, and cheese when making mash! This is a pretty good post, I mean regardless of the fact that I am a huge potato lover, fried, baked, roasted and mashed, but I didn't know that they were the only nutrients used by our brains.